Take a break from the city and head to Lake Burley Griffin and National Zoo and Aquarium. 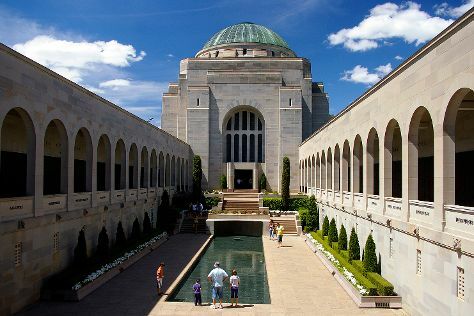 The adventure continues: take an in-depth tour of Australian War Memorial, do a tasting at Capital Wines, identify plant and animal life at Mulligans Flat Woodland Sanctuary, and get a sense of history and politics at Parliament of Australia. To find maps, other places to visit, and other tourist information, use the Canberra online vacation planner . Venice, Italy to Canberra is an approximately 30-hour flight. You can also do a combination of flight and bus; or do a combination of train and flight. Traveling from Venice to Canberra, you'll lose 9 hours due to the time zone difference. In May, Canberra is a bit cooler than Venice - with highs of 19°C and lows of 2°C. Wrap up your sightseeing on the 9th (Thu) to allow time to travel to Tumbarumba. Tumbarumba is a small town in New South Wales, Australia, about 480km southwest of the state capital, Sydney. Start off your visit on the 10th (Fri): take an in-depth tour of Tumbarumba Visitor Information Centre, then ride a horse along Mountain Ash Trails, and then do a tasting at Courabyra Wines. To see traveler tips, reviews, other places to visit, and more tourist information, refer to the Tumbarumba travel app . Traveling by car from Canberra to Tumbarumba takes 3 hours. Traveling from Canberra in May, Tumbarumba is a bit warmer at night with lows of 6°C. Finish up your sightseeing early on the 10th (Fri) so you can travel to Thredbo Village. 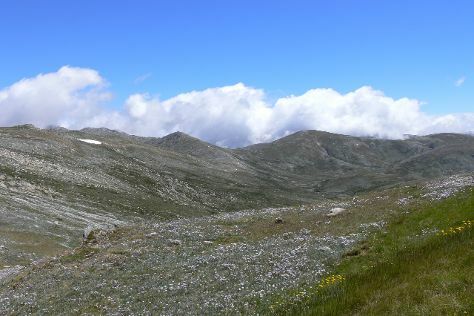 Get outdoors at Kosciuszko National Park and Lake Jindabyne. Change things up with these side-trips from Thredbo Village: Shut the Gate Wines (in Berridale) and Jindabyne (Kosciuszko Brewery, Monster Ski Hire, & more). To see reviews, photos, traveler tips, and tourist information, go to the Thredbo Village driving holiday planner . Drive from Tumbarumba to Thredbo Village in 2.5 hours. In May, Thredbo Village is slightly colder than Tumbarumba - with highs of 16°C and lows of 0°C. Finish your sightseeing early on the 13th (Mon) to allow enough time to travel to Bright. Bright is a town in northeastern Victoria, Australia, 319 metres above sea level at the southeastern end of the Ovens Valley. Escape the urban bustle at Falls Creek Alpine Resort and Canyon Walk. When in Bright, make a side trip to see Mount Hotham Alpine Resort Management Board in Mount Hotham, approximately 1 hour away. There's much more to do: hike along Murray to the Mountains Rail Trail, take some stellar pictures from Huggins Lookout, and admire the sheer force of Fainter Falls. To see maps, ratings, more things to do, and more tourist information, refer to the Bright online travel route planner . You can drive from Thredbo Village to Bright in 4 hours. Traveling from Thredbo Village in May, expect a bit warmer with lows of 5°C in Bright. Wrap up your sightseeing on the 16th (Thu) to allow time to travel to Beechworth. Step out of the city life by going to Murray to Mountains Rail Trail and Beechworth Mountain Bike Park. Venture out of the city with trips to Milawa (Hurdle Creek Still & Wood Park Wines Cellar Door). The adventure continues: do a tasting at Brown Brothers, see the interesting displays at Burke Museum, stroll the grounds of Beechworth Public Cemetery, and take an in-depth tour of Beechworth Historic Courthouse. To find ratings, where to stay, and other tourist information, use the Beechworth trip planning app . You can drive from Bright to Beechworth in an hour. May in Beechworth sees daily highs of 19°C and lows of 5°C at night. Finish your sightseeing early on the 21st (Tue) to allow enough time to travel back home.